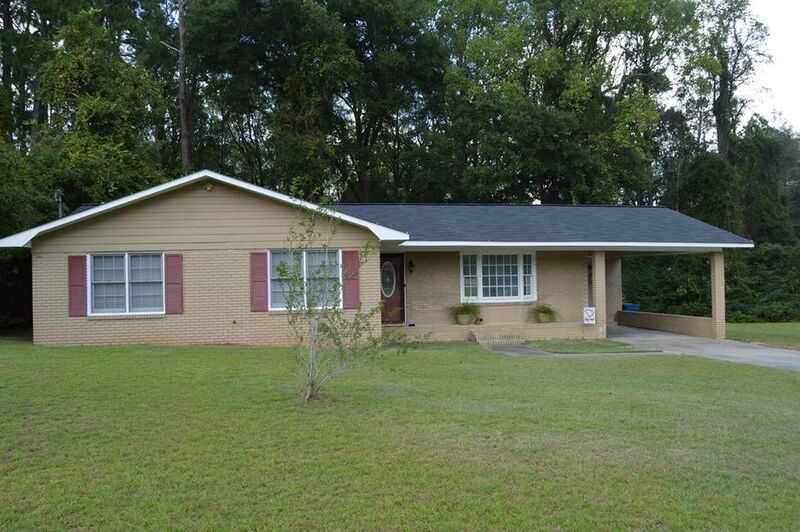 Charming 3 Bedroom, 2 Bathroom brick ranch with 1.15 acres inside the city limits. Rare Find , Some new paint inside. Spacious open floorplan living/dining/kitchen area. Rear deck, fenced backyard, shelter. This home is adorable, lots of space for entertaining. Tankless hot water heater. Call Tammie Gibbs @ 912-293-2899 to schedule a showing. This home is currently rented so please allow 24-48 hours notice for viewings.